Twitter is celebrating its sixth birthday today. Exactly six years ago on March 21, 2006, Jack Dorsey, co-founder of the popular micro-blogging service posted the first ever tweet: "just setting up my twttr." At the time the service was still being tested internally and its codename was spelled with no "i" or "e". It wasn't long before its public debut on July 15 as Twitter and since then the service's popularity has exploded. 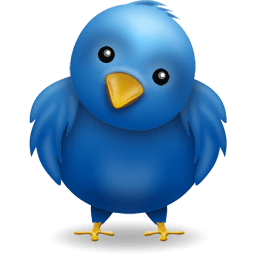 Today Twitter has an estimated 350 million registered users, with about 100 million of them posting regularly on the site in 2011. The service has attracted numerous celebrities, politicians, brands, and influencers from all fields to the platform. Depending on who you ask (or follow), you'll find that Twitter can be used to comment on the mundane, for personal micro-blogging, as a promotional tool, an RSS reader replacement, or to learn about current events in real time. In fact, news often break on Twitter before any other media. The famous picture of Captain Chesley Sullenberger's US Airways plane landing on the Hudson River appeared first on Twitter, and if you were on Twitter, you probably heard about the death of Osama Bin Laden before the official announcement. According to Social Media Today, Twitter’s projected ad revenue for 2012 is $259 million and will hit $540 million by 2014. Looking to further monetize the service, the firm recently announced some changes that will allow it to publish "promoted tweets" on users' timelines as ads from companies across its apps and website. Born from a 5-member team, Twitter is now available in 28 languages and employs over 835 people. Over 60 billion tweets were sent out in all of 2011. The record for maximum tweets per second as of date is 12233, set during Superbowl 2012. It took 3 years, 2 months and 1 day to hit the first billion tweets. Now it takes less than a week. A 2011 study from the University of Washington says Twitter and other social media sites played a central role leading up to the toppling of the Tunisian and Egyptian dictators. Lady Gaga (@LadyGaga) has over 21 million followers on Twitter, making her the most "followed" user. Barack Obama (@BarackObama) is by the most popular politician on Twitter with over 13 million followers, while YouTube (@YouTube) is the most popular brand on Twitter with 10 million followers.